Created by luxury pen manufacturer Omas in collaboration with world’s leading commercial cigar company Habanos, the limited edition writing instrument is inspired by COHIBA brand design. Crafted with Silver Vermeil and Ziricote wood, the Cohiba pen collection was a tribute to the foundation year of COHIBA brand. It is presented in cedar cabinet box that serves as a cigar box and contains a humidor and a hygrometer too. 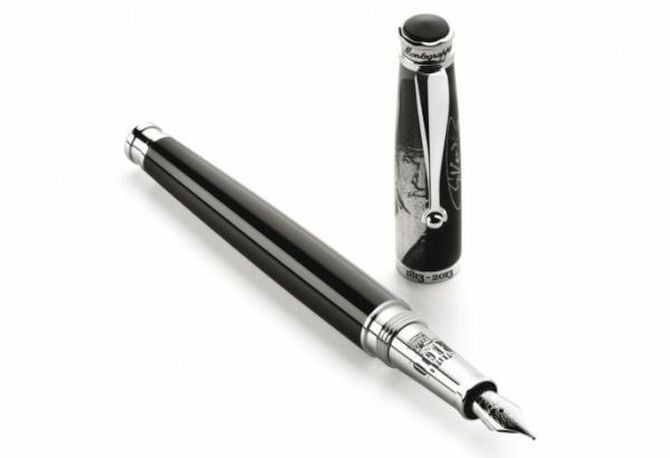 Honoring Spanish painter and sculptor Pablo Picasso, Montblanc created two Artisan Edition Pablo Picasso Limited Edition writing instruments. 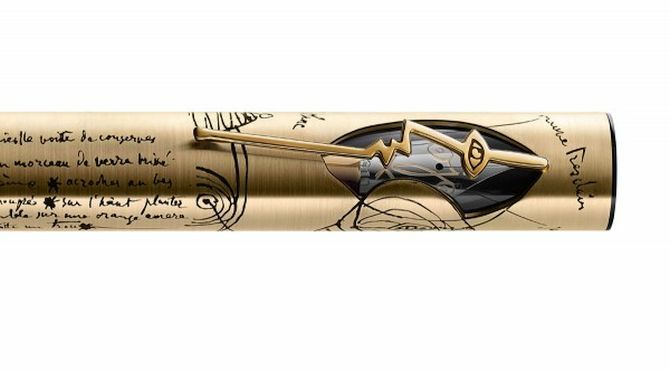 One of the pens is the Artisan Edition Pablo Picasso Limited Edition 91 that features Picasso’s famous “Ojo” drawing carved 18 carat gold rhodium plated nib. It was priced at $34,000. The other is the Artisan Edition Pablo Picasso Limited Edition 39 which featured a 750 solid white gold cap with a Montblanc diamond. Advertised as one of the most exclusive writing tools for pen aficionados by the German studio, the P’3135 fountain pen is crafted from a single piece of solid 14-carat gold. 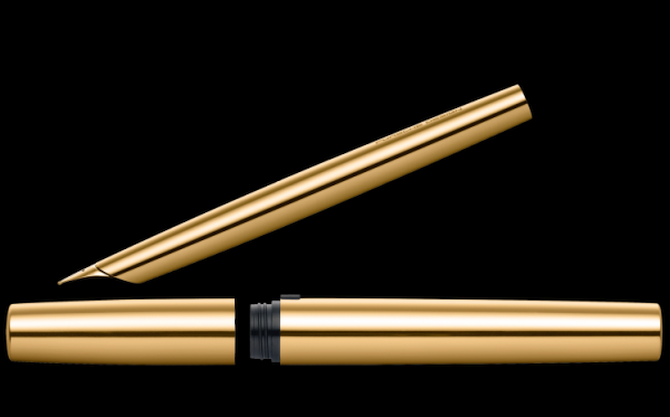 The shaft of the pen is also finished in a 14-carat gold coating. 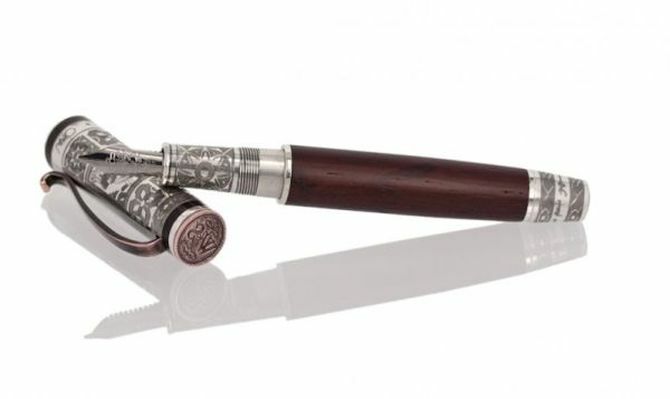 This pen was limited to 11 units worldwide and had a price tag of $27,200. 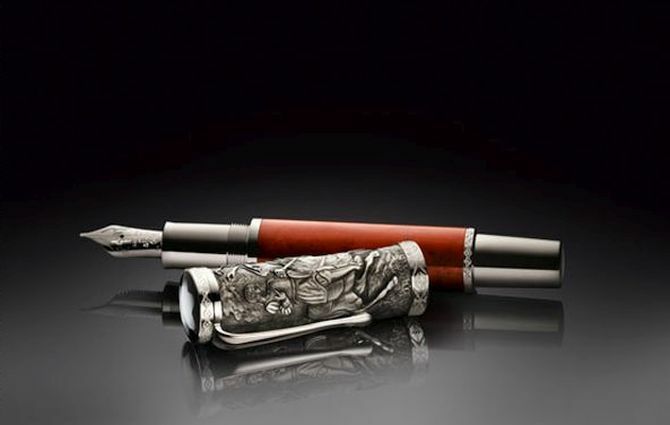 This luxurious pen was unveiled by OMAS in partnership with Shakespeare Birthplace Trust. Celebrating the life of William Shakespeare, one of the greatest playwright, actor and poet of all time, the limited edition fountain pen is crafted from antique silver and traditional oak wood. Featuring an image of him, the pen is decorated with friezes from Shakespeare’s time and has an imprint of his signet ring as well. To celebrate the Chinese New Year 2014, a series of limited edition fountain and roller pens were released by Caran d’Ache. 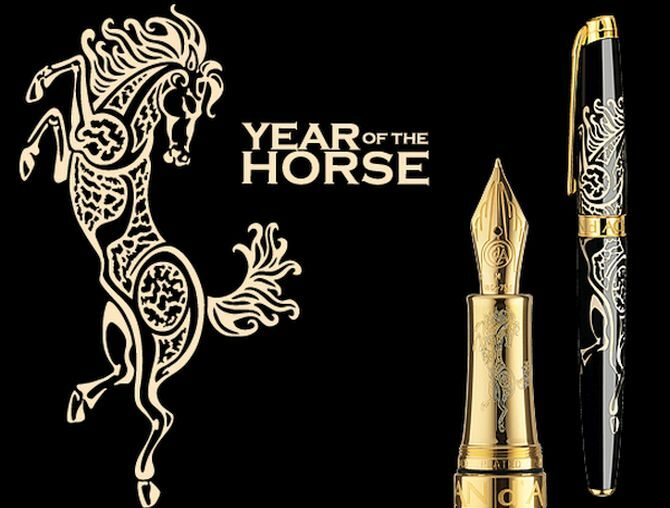 The handmade pen comes with a black Chinese lacquer body with engraving of the animal highlighted with ivory Chinese lacquer. The limited edition pen by the Swiss manufacturer is dedicated to a Horse who is known for its elegant, independent and majestic character. 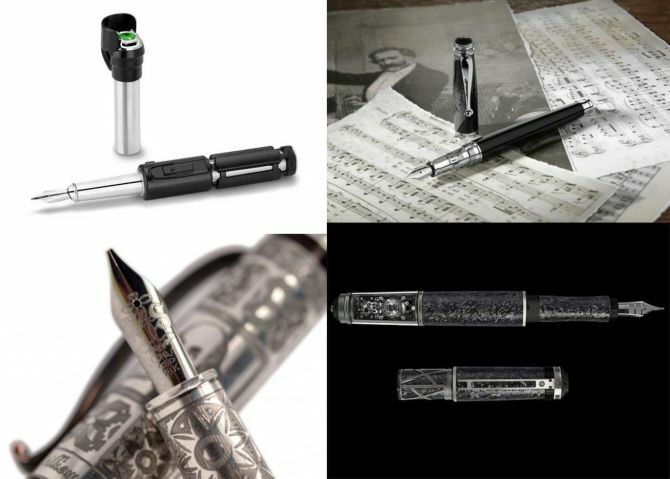 Montegrappa teamed up with designer Mario Cavazzuti to release a limited edition pen line to celebrate the bicentennial of Italian romantic composer Giuseppe Verdi. 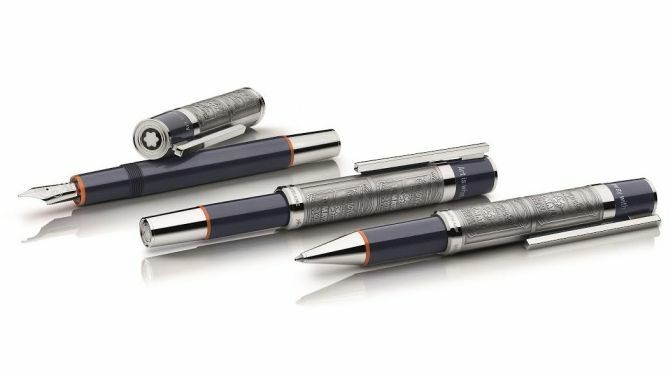 Highlighted with rhodium plated trim, each pen is turned from rods of black resin. The laser engraved cap features a segment of Giuseppe Verdi’s face on one side and his signature on the other. Signifying the year Giuseppe Verdi was born, the collection was limited to 1813 pens. The Levitating Lightsaber fountain pen was developed to celebrate the release of Star Wars: The Force Awakens movie. 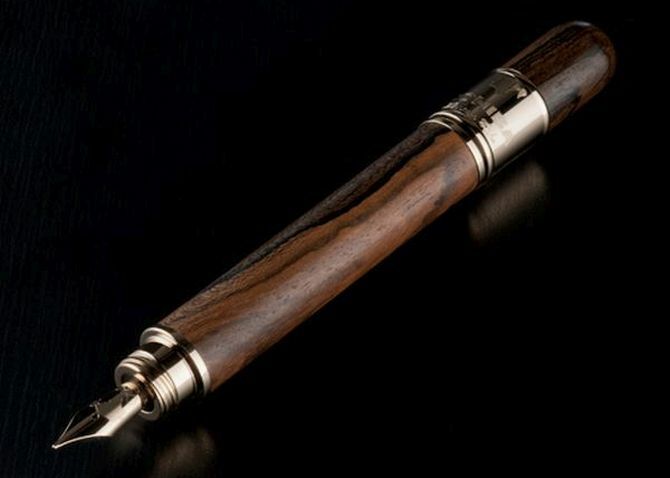 Inspired by Yoda’s lightsaber, the high-end levitating fountain pen is created by French luxury house S.T. Dupont. Made from bronze with black lacquer, palladium and rhodium finishes, the pen comes with a 2-carat green topaz on the tip. 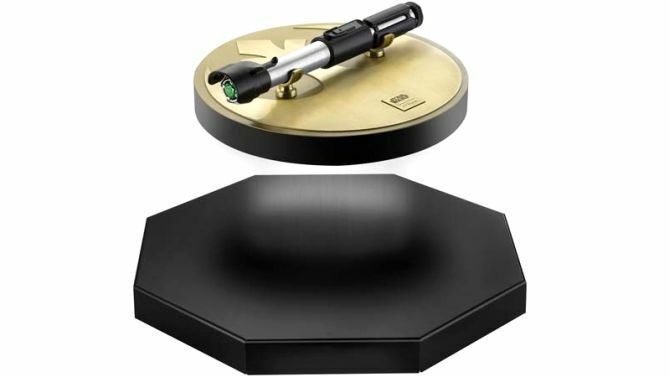 Limited to 8 units only, the Levitating Lightsaber fountain pen was priced at whooping $25,000. 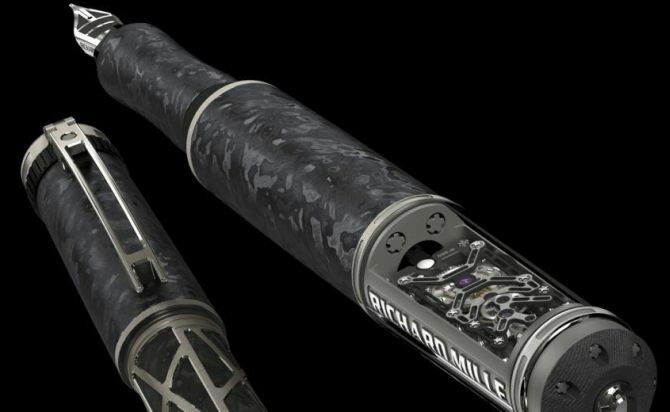 Unveiled at SIHH 2016, the RMS05 Fountain Pen by Richard Mille is one of the most expensive writing instruments on the world. Boasting a tiny skeletonized mechanism, the barrel and the cap is made from NTPT carbon. RMS05 uses a self-winding pen calibre to extend the pen’s satin-finished 18K white gold nib. Priced at a jaw-dropping $105,000, the RMS05 Fountain pen was introduced at 2016 Salon International de la Haute Horologie.